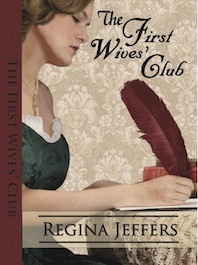 Kingsand and Cawsand play a major role in the plot of my Regency romance, The First Wives’ Club, book one of the First Wives’ Trilogy. Kingsand (Cornish: Porthruw) and Cawsand are twin villages in southeast Cornwall, United Kingdom. The villages are situated on the Rame Peninsula and in the parish of Maker-with-Rame. Until boundary changes in 1844 Kingsand was in Devon; Cawsand, however, was always in Cornwall. On the old county boundary between the two villages there is still a house called Devon Corn, which has the marker on the front of the house. The villages are popular with tourists but retain their traditional character. The villages are well known for their smuggling and fishing past. Although the known smuggling tunnels have been sealed up, there are still old fish cellars and boat stores to be seen along the coast. One notable former resident was John Pollard RN. He was a midshipman (later a Commander) in the Navy who served under Nelson and is the man credited with being “Nelson’s avenger,” since it was he who shot the French sailor who killed the Admiral. Nelson himself has also been said to have visited the village and dined at The Ship Inn (now closed). Other notable residents have included Tabitha Ransome (Arthur Ransome’s daughter) and also Ann Davison who was to become the first woman to sail the Atlantic single handed in 1953 and departing from Mashfords boatyard. Kingsand lies on the shores of Cawsand Bay, with the South West Coast Path running through the village. The village coast, as well as the coast 1 km to the east forms the Kingsand to Sandway Point SSSI (Site of Special Scientific Interest), which shows examples of extensive early Permian volcanicity. The South West Coast Path passes through Kingsand. Kingsand is connected via the Rame bus link to Plymouth. The Rame bus link runs between Cremyll and goes to Plymouth via Torpoint. In Summer, the Cawsand Ferry runs a passenger service between Cawsand Beach and the Mayflower Steps in Plymouth for visitors to the Barbican. Walkers can reach the village by walking through Mount Edgcumbe Country Park. A key feature of the villages is the Clocktower along the seafront of Kingsand. It was erected to commemorate the coronation of King George V and the building it is attached to (locally referred to as the Institute) is used as a community hall. The Institute also contains a large cross-stitch tapestry picture of the two villages which was made by residents to commemorate the golden jubilee of Queen Elizabeth II. Within the parish of Maker-with-Rame, there are three churches. The Church of St Germanus, Rame which is near Rame Head, St Andrews Church in Cawsand, and the Church of St Mary and St Julian, Maker (which is located along the road towards Cremyll). Maker is the largest of the three and is a highly visible position so it can be seen from Torpoint and Plymouth. There are three main beaches in the villages, which are separated by areas of rocks with interesting rockpools. Kingsand Beach is a mixture of sand and shingle which is located along The Cleave. Girt Beach is mainly shingle, but with some sand and can be found along Market Street. Cawsand Beach is mainly sand and is found along The Bound. A swimming beach known as Sandways lies a short walk out of the village across the rocks towards Fort Picklecombe. The water quality has improved over recent years thanks to extensive sewerage works and so all beaches are safe for swimming. The Black Prince Procession is a Mayday custom in the villages of Millbrook, Kingsand and Cawsand. It takes place on Mayday bank holiday. The procession starts in Millbrook in the morning then moves to Kingsand and ends up on the beach at Cawsand where a model boat, The Black Prince, bedecked in flowers is floated out to sea to say goodbye to the harsh weather of Winter and welcome in the warm Summer weather. There are a few shops and five pubs that serve both drinks and food. Accommodation for visitors is usually takes the form of renting one of the cottages or staying in a B&B. There is thriving artist community in Kingsand and on the Rame peninsula. The Westcroft Gallery is situated in a converted boat shed, accessed through a courtyard garden just a stone’s throw from the beach in the picturesque seaside village of Kingsand. Unlike St Ives, which is notable for its light, artists are drawn to the Rame peninsula by the quality of light, the unique micro-climate and juxtaposition of dense green woodland, dramatic cliffs, local beaches and tranquillity of Kingsand and Cawsand, which have remained unchanged for many years. This entry was posted in British history, Great Britain, Living in the UK, mystery, real life tales and tagged Cawsand, Cornwall, Devon, Kingsand. Bookmark the permalink.